We’re not quite there yet. Venturing out as a young, starry-eyed computer science, game design, or graphic design graduate, or merely a video game aficionado with development skills, your future as a game developer is far from certain. California, the mecca of the computer game industry, may offer the best prospects, since big name game studios, like Activision Blizzard, EA, and Riot Games have their headquarters there, but what does that mean? Is anybody not living in that glorious republic doomed to rot away in some software sweatshop? New York, where is your greatness, now? “Jus’ watch me, you joyk,” New York might say. While the city doesn’t attract big name game studios yet, it has a growing and energetic indie game scene. The members of this scene are gaming devotees looking for communal support and wishing for New York to support small entrepreneurship and can-do attitudes. Programs to help start-ups exist, like NYU-Poly, Entrepreneurs Roundtable Accelerator, and NYC Seed. However, the landscape lacks initiatives which support video game developers, specifically. Due to a lack of municipal support, indie game development in New York is still a grassroots movement. Out of those roots, Playcrafting emerged. It began in 2009 as a gaming meetup, a friendly get-together of game development enthusiasts who met once a month. The group expanded, and the meetings began to include “deep dives” — short lectures which aimed to teach the members useful skills, and kept growing yet, evolving into an event for industry professionals. As CEO and co-founder of Playcrafting, Dan Butchko is quick to point out the biggest obstacle to becoming a video game developer in New York: money. Acquiring skills is expensive, as the tuition costs of game design programs at NYU or Parsons show. Additionally, life has to go on; in order to pay rent, you probably have to work a nine-to-five, and maybe you have a family. This leaves you a couple of bucks and few hours a week to dedicate to your passion for making video games. Here, Playcrafting sees its mission. Their courses are affordable and aim to have only a minor impact on the schedule of participants. They offer hands-on education, with the added perk of portfolio expansion and networking with like-minded enthusiasts. Teaching is only one aspect of Playcrafting — they are also very active in the community. 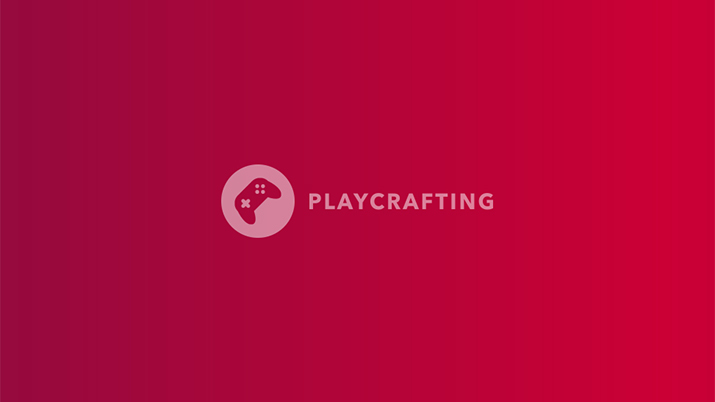 Playcrafting organizes the New York City chapter of the Global Game Jam, and a quarterly expo. At this showcasing event, students and members of the community present their projects in a relaxed atmosphere to a very curious public. At the Spring Expo (Thursday, April 28), I was a member of this very curious public. Might there finally be a place where indie developers can get together, in one room, and connect, network, and synergize? I do hope so. I really do. Spring Expo 2017 was hosted at Microsoft, by Times Square. Already at the reception, standing in line with the other attendees, I noted a colorful array of hopefuls attending the event — all ages and many different nationalities. Somber Microserfs ushered us into the elevators, up to the sixth floor [EN: Seventh floor]. We passed through long hallways and sleek furniture, and finally, there they were: tables upon tables of rough-and-tumble developers who had broken out of the solitude of their game development routines and set up stands to present their results to the public, happy to chat with anyone interested in their works. First stop: two congenial gentlemen, Adam and Alex, from Windy Games. They presented their title, Miasma Caves, a cave-exploration sandbox game. As the dragon girl Lesath, you take trips from your town into a nearby cavern which holds treasures and answers to your questions about what happened in the past. The environment within the cave is completely alterable — with a pickaxe that you carry along. However, the cave also bears nuisances, such as slimes, who eat resources, or dangers, like lava, deadly falls, or cave-ins, which you might trigger by neglecting static while digging. 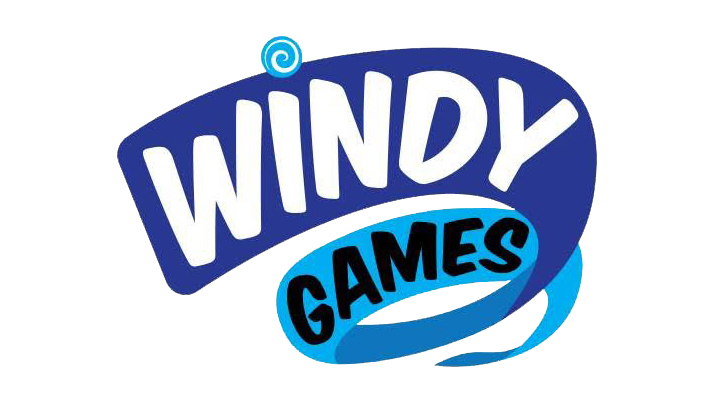 Windy Games’ team consists of four members and has its office in White Plains, NY. I asked them about the reason for choosing that particular location, and they named convenience as the decisive factor. Because the members of the team live in NYC, Westchester, and Putnam County — and the rent prices drop dramatically once you leave the city — meeting in White Plains made the most sense. White Plains is also a main stop of the Metro North, which ensures that the team can attend indie game events in the city, such as, for example, this Spring Expo. Like Windy Games, many studios struggle with the affordability of space in NYC. The only sensible choice, then, seems to move out of the city and commute to still be able to take advantage of the networking opportunities of an urban vista. The impossibility of setting up shop in the city stifles the development of New York City as a central hub for exchange between the members of the indie game community; high rent prices and little support from the city are serious obstacles. A couple of tables over, I met the team from WhiteShark Tech, a small studio without a physical location that has five members from the US and Russia. Their project is Horde Boss, a hack-and-slash action RPG platformer in which you switch between three heroes while you play: an orc, an archer, or a mage. On their quest, the heroes fight hordes of spawning enemies to liberate their world from vicious monsters. I spoke with Michael, their marketing person. I could tell he was taking his job seriously when he asked me about my experience while playing their game and whether I saw any appeal for a larger audience. We chatted for awhile, and I asked what challenges he anticipates in marketing the game. According to Michael, the main difficulty is how to engage players. Currently, the studio has been focusing all of their attention on refining the product, but as they approach release, they want to increase their marketing efforts. Right now, WhiteShark makes use of the main social media outlets: Instagram, Facebook, and Twitter. However, they feel that the organic reach of their posts is short and hard to sustain. Toward the release of the game, a more tailored marketing effort, including financial investment, will likely be necessary. It is essential for indie developers to get their product noticed by players. Events like the Spring Expo are a step towards this, and developers complement such appearances with posts on social media channels which try to reach relevant communities. The people I talked to frequently named Twitter as the most effective medium. Reddit popped up, too, but their mechanism against self-promotion prohibits game devs from mentioning their product too much in their posts. The restrictions make it hard to attract a genuine user base which keeps the buzz going. Creating buzz around your product is essential for finding a publisher. How does one get in touch with those? As Dan Butchko mentioned, Playcrafting helps facilitate contact with their sponsors. Additionally, they can rely on connections to opinion leaders at Google and Apple, with the possibility to present them a curated selection of projects the community is currently working on. The team from Rocket Socks introduced a title at Spring Expo which combines a passion for soccer with multiplayer gameplay: Martial Strike!. It is a platform brawl game for up to four players where the objective is to drop soccer balls into a net which floats at the top of the screen. As I spoke to William, one of the two developers, I learned that for them, too, getting the word out about the game and contacting publishers is an important part of the development process. Like WhiteShark Tech, Rocket Socks sees the necessity of organic reach through Twitter. However, as the release approaches, again, monetary investment will be a necessity. Namely, they are thinking about creating trailers as advertising material. Another avenue which recently opened — and which Rocket Socks considers as a promotional measure — is streaming on Twitch or YouTube. By tying in streamers, Rocket Socks hopes to harness the reach of those outlets into the gaming community. Furthermore, once they decide to make a console version of the game, they would need publishers. It appears that, with vehicles like Steam Greenlight or itch.io, the first step onto PC is somewhat open for everyone, but to reach dedicated communities in console gaming, publishers are a prerequisite. I noticed a crowd of people standing around a screen off to the side of the room. Oohs, aahs, and cheers drew me closer. At the center was Kingdom Bash, developed by Matthew Alan Estock. Matthew describes it as a “fantasy-action couch-multiplayer.” Multiplayer-battle titles seem to be on the rise, partly due to the competitive aspect, which facilitates the creation of a fan base around it. It’s more engaging and memorable to try to beat each other in a game rather than leveling up your character by yourself with no one else to interact. The opportunity for community outreach, which happens at events like the Spring Expo, is precious for developers like Matthew. He comes from the “backwoods of northern New Jersey,” as he said, so getting to the nearest center of the indie game scene is quite the trip. While he is sure there are plenty of indie meetups, he just doesn’t have the time and means to make it into the city. Living close to the center of a community is important. The indie video game scene is no exception to that. Matthew braved the obstacle of his remote location by moving ahead on his own; doing the planning, developing, and marketing all by himself — a one-man indie army [EN: How the times have changed]. So far, he has used Twitter and Facebook in his efforts to publish content. Twitter delivered the most feedback. For the future, he considers finding a publisher, or, possibly, running a Kickstarter campaign. At the moment, getting greenlit is his immediate goal, although Steam is still in the process of defining the concept. I looked up, and it was 9:00 pm. The Spring Expo was over. These had been the shortest three hours of my life. A little tired, and pleasantly buzzing, from the overstimulation of the evening, we attendees trod back to the elevators and were released into the mild, bright Midtown-Manhattan night. On the train, during my long journey back to an affordable neighborhood on the periphery of New York, thoughts washed over me like the reflections in the windows of the train car. With all the excitement and grassroots enthusiasm the indie game scene exhibits, there are also problems. The main one the New York community faces is getting noticed by the people who will play the game. Social media, Kickstarter, or Steam Greenlight offer solutions to that, but they’re fickle and need constant activity. Publishers seem to hold the key to success, but that is perhaps wishful thinking, and with them, projects have to pass the bottleneck of feasibility and sales projections so that they are at risk of turning into commodities. Idealism clashes with reality. The obstacles and little support in New York City prohibit indie developers from establishing themselves in a central location where they can connect. It used to be that, if you made it in New York, you could make it anywhere. Now it seems you have to make it everywhere else first to be able to rent a broom closet on 1st Avenue. The struggle is real, and with the Spring Expo, Playcrafting has made an enthusiastic first step in the right direction. It brings the isolated members of the community together and exposes them to gamers and opinion leaders of the industry. The problems are not solved, but the stage has been set for synergies to emerge, which sets the community up in a better position to face challenges. Playcrafting is still young, and we hope that their efforts grow along with the indie game community. The center of gravity of U.S. game development needs to shift away from sunny California and closer to the cold, dark winters of the Northeast, where people sit in front of their screens, compete against each other, and cheer. Game developers should relocate with the lightheartedness that comes from knowing that their passion for making video games will find support in a flourishing, connected community in New York City.